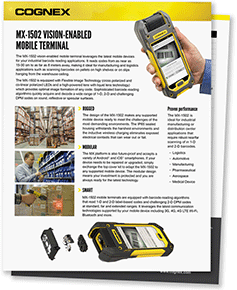 Thank you for your interest in the MX-1502 vision-enabled mobile terminal. Click on the link below to access the datasheet. Want to learn more about Cognex products and solutions?